I’m thrilled to be speaking at Bullhorn’s Engage conference again in June. Bullhorn is such a major player in the staffing industry. I’m always grateful for the chance to speak about elevating and empowering people with a strengths-based approach. 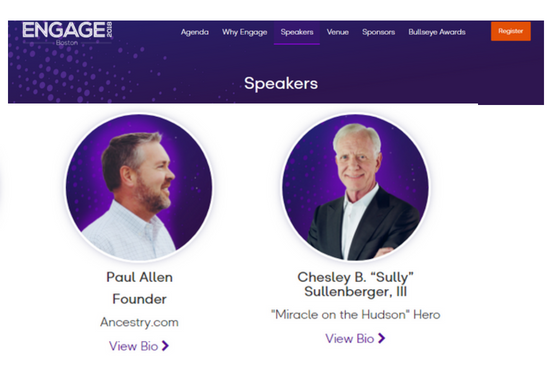 Can you imagine how thrilling it is to be listed as a speaker next to Captain Sullenberger, of “Miracle on the Hudson” fame?! I hope I see some of you at this year’s conference. Ping me if you are going to be there.